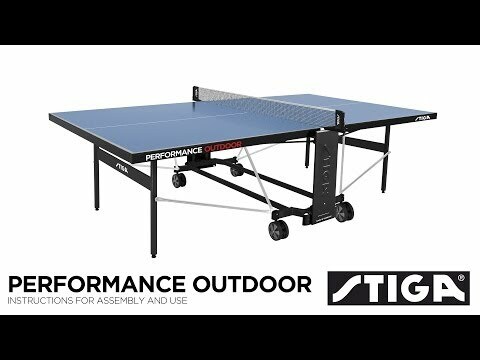 The Stiga Performance Outdoor Table Tennis Table has a 5mm table top which provides a decent bounce, though not of the same standard you’d get from other brands when spending this amount of money. The frame is also ok, but doesn’t come close to the strength you’d get from some of the other tables in this price range. However, the weatherproofing is excellent and it does have the playback facility for solo practice. It also benefits from bat and ball storage.